Children’s literature awards serve as a great source for discovering great books to recommend to parents or buy for the classroom. We’ve compiled a list below of popular awards, covering a diverse base of material. If you know of a list we’ve missed please include it using the form below. Awarded by the ALA, The Alex Awards are given annually to ten books written for adults but that have special appeal to young adults, ages 12 through 18. Given in recognition of U.S. works of fiction, poetry, folklore, or selected non-fiction (from picture books to works for young adults) in English or Spanish that authentically and engagingly portray Latin America, the Caribbean, or Latinos in the United States. By combining both and linking the Americas, the award reaches beyond geographic borders, as well as multicultural-international boundaries, focusing instead upon cultural heritages within the hemisphere. The award is sponsored by the national Consortium of Latin American Studies Programs (CLASP). Given by The Bulletin of the Center for Children’s Books, one of the nation’s leading children’s book review journals for school and public librarians. The Boston Globe–Horn Book Awards are among the most prestigious honors in children’s and young adult literature. Awards are given in three categories: Picture Book, Fiction and Poetry, and Nonfiction. The winning books must be published in the United States. Awards are chosen by an independent panel of three judges who are annually appointed by the Editor of the Horn Book. 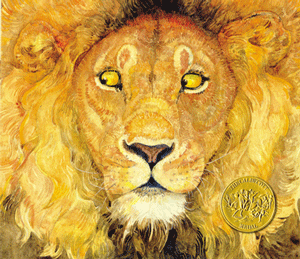 Named after the 19th century English illustrator Randolph Caldecott, the Caldecott Medal is awarded to the artist of the most distinguished American picture book for children. It is awarded annually by the Association for Library Service to Children, a division of the American Library Association. The Coretta Scott King Book Awards annually recognize books for young adults and children by African American authors and illustrators. Award winning books reflect the African American experience and encourage artistic expression of the black experience through literature and the design. An annual children’s science picture book award established in 1998 by Dr. Jim Wandersee and Dr. Elisabeth E. Schussler. Administered by Louisiana State University. Presented by the Society of Children’s Book Writers & Illustrators the Golden Kite Awards, given annually to recognize excellence in children’s literature. The awards are given to authors and illustrators in four categories: Fiction, Nonfiction, Picture Book Text, and Picture Book Illustration. An award celebrating titles for children in kindergarten through 4th grade. The Gryphon Award recognizes an English language work of fiction or non-fiction that best represents qualities that successfully bridge the gap in difficulty between books for reading aloud to children and books for practiced readers. The Jane Addams Children’s Book Awards are given annually to the children’s books that effectively promote the cause of peace, social justice, world community, and the equality of the sexes and all races as well as meeting conventional standards for excellence. Awarded by the American Library Association, The Laura Ingalls Wilder Award honors an author or illustrator whose books have made a substantial and lasting contribution to literature for children. This award is given to an American publisher for a children’s book considered to be the most outstanding of those books originally published in a foreign language in a foreign country, and then translated into English and published in the United States. The award is given by the American Library Association. Given to the fantasy novel, multi-volume novel, or single-author story collection for adults that best exemplifies “the spirit of the Inklings” — books for younger readers (from “Young Adults” to picture books for beginning readers), in the tradition of The Hobbit or The Chronicles of Narnia. Awarded by The National Council of Teachers of English to recognize and foster excellence in children’s poetry. The award honors a living American poet for his or her aggregate work for children ages 3–13. Named after the 18th century British bookseller John Newbery, the Newbury Medal is given to the author of the most distinguished contribution to American literature for children. The award is given annually by the Association for Library Service to Children, a division of the ALA. Awarded by the Association for Library Service to Children (ALSC), the Notable Children’s Book award is given to books that are “Worthy of note or notice, important, distinguished, outstanding.” Winning books exhibit venturesome creativity, and include books of fiction, information, poetry and pictures for age levels birth through age 14 that reflect and encourage children’s interests in exemplary ways. The award is given annually to the authors and illustrator of the most distinguished contribution to the body of American children’s literature known as beginning reader books published in the United States during the preceding year. The Read-Aloud Books Too Good To Miss program is a project of the Association for Indiana Media Educators. The book list is determined by a media specialists, teachers, principals, and bookstore operators. The resulting list includes five read-aloud lists, one each for primary school, intermediate school, middle school, high school, and ageless. The Young Hoosier Book Award Program is designed to stimulate recreational reading among elementary school and middle school/junior high school children. Students across the state of Indiana vote on the award, with more than 70,000 most recently participating.